We are always trying to improve our Wedding films. That’s why we’re now exclusively using Canon’s new DSLR cameras, the EOS 5D Mark III. Any wedding videographer will tell you that this is the best camera on the market. It is agreed by many of today’s top directors like James Cameron, Martin Scorsese, and Quentin Tarantino, that the 5D Mark III produces the best looking footage out of all HD video cameras under $200k. More and more Directors, Hollywood Studios, and National TV Networks are adapting these new cameras for their productions. In fact, the season finale of the popular TV show House, which aired recently on FOX was filmed entirely with the Canon 5D Mark III. The Canon 5D Mark III has a Full Frame, 36mm image sensor and is a 21MP camera that shoots Full HD 1080P video at 24 frames per second. These are standard specifications for most multi-million dollar Hollywood productions. This big size image sensor produces a cinema style, artistic, shallow depth of field, where the subject in focus and the background is blurred. The camera uses interchangeable lenses that increase the quality even further. Optics play a big role in wedding video production, and Pushkin Studio takes a great pride in the lens collection that it owns. 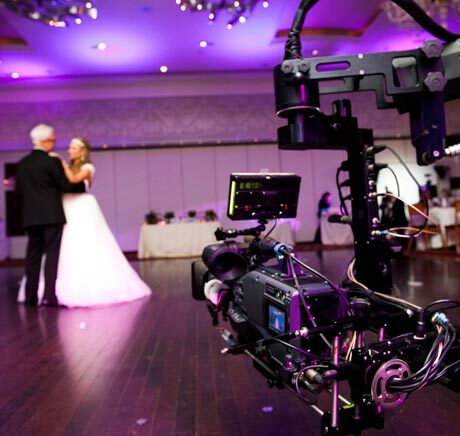 Our Steadicam gives the ability to make traditional shots smoother, adding to the stabilized feel of the video. It’s your wedding, and we don’t want to limit you in any way. Traditional tripods and dolly shots are limiting, with our gear we can get up close and personal, while maintaining great looking footage. All of the technology we have is used to increase the quality of the production, guaranteeing a great-looking video for you, our client. We know where the world of cinematography is going, and use that to our advantage to offer you true beauty of your wedding. Puskin Studios serves the following areas in and around New York City: Manhattan, Brooklyn, Staten Island, Queens, New Jersey, Long Island, Rockland, Orange and Westchester Counties, and Connecticut Add a copyright notice at the bottom of each page. Pushkin Studio is owned and operated by Alex Pushkin. High End Luxury Wedding Photography and Video services is a quality service oriented video and photography expert that provides you with uncompromised, professional and Customer Satisfaction guaranteed wedding photography and video services that you deserve at a competitive price, which you can afford. Alex Pushkin, the owner of Pushkin Studio is a professional cinematographer living and working in New York. Pushkin studio works with creative effect designers for post production process. Our video inquisition skills together with post production and animation are aimed at giving you that million dollar look that you see in Hollywood movies. 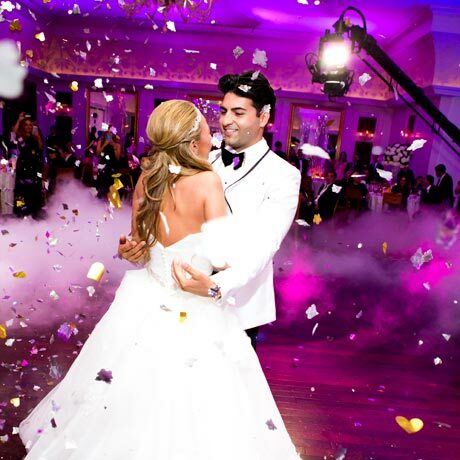 What makes Alex Pushkin the premier wedding videographer in New York City? Our strong reputation, uncompromising professionalism, rich logistics, and service experience are just a few reasons why, of all our competitors out there, we are the most trusted choice. Your needs are special to us as it is to you and we apply our expertise to satisfy such special needs. We have never failed to deliver and we do not intent to do so in the future. We provide you with quality photography and video services that are beyond your imagination, tagged along with celebrity features which make us the standard for determining the best. We use the best equipment. This means we can and will get every shot possible at your wedding without intruding on your day. We use highest grade lenses. We also use Full Frame Cameras that shoot amazingly good looking footage in Full HD 1080p. 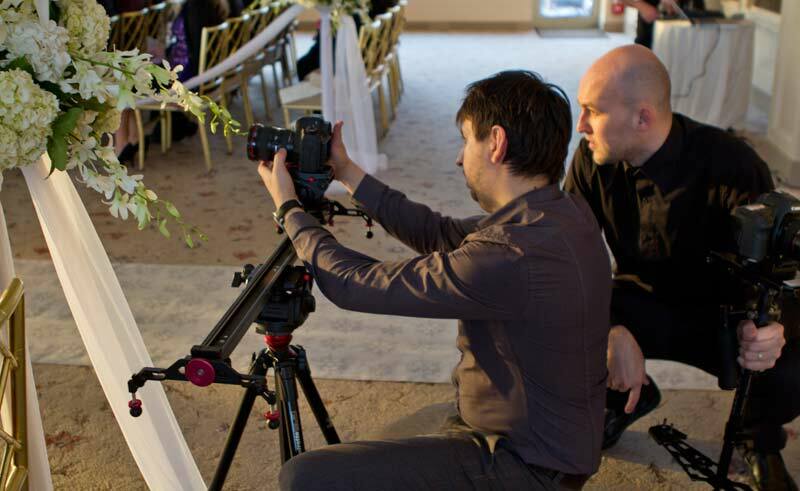 Videographer for weddings should have all the right tools to make your video look amazing. We are small enough to bring you all of the benefits of a personalized, dedicated service, but big enough to handle any video and photography project that you may assign. Our editing is professional – most other studios don’t pay so much attention to what clips/angles to use for your film. We make everything look beautiful. Your film will not contain shots of shaky, under or over exposed footage, bad sound, etc. We make beautiful editing. Just imagine the video starts from Bride and groom getting ready. We chose amazing melody and create like a music video with slow motion, color, and other effects. All transitions are mixed to the music, and the entire song doesn’t contain a single shot that doesn’t look beautiful. Pushkin Studio wedding videographer will insure that each of your shots looks amazing. After this first clip comes a second one, with a more uplifting and energetic song, and a beautiful music video of you on a location shoot. Next, check out our Award Winning Wedding Photography service.